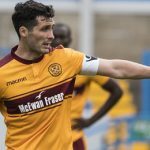 24 hours on from Motherwell’s magnificent victory Scottish Cup semi-final over Aberdeen, Sparra and Jay were joined by Andrew Paterson to go over what was a quite magnificent day for the men in claret and amber, look ahead to the final meeting with Celtic, discuss new contracts for four key players and much more. 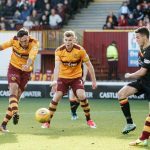 After a brilliant week for Motherwell, Andy Paterson joins Jay and Sparra to look back upon wins against St Johnstone and Dundee. Also on the agenda is an assessment of the impact made by new arrivals Nadir Ciftci and Curtis Main, reaction to the Scottish Cup quarter-final draw and a look ahead to the weekend’s Scottish Premiership fixture against Kilmarnock. After a week away there was three games to look back upon when Sparra and Busta were joined by Andrew Paterson. The superb Betfred Cup victory over Aberdeen, the league defeat to the same opponents and Saturday’s 3-0 win over Partick Thistle are all reviewed. Also on the agenda was the cup semi-final against Rangers and a look ahead to the Lanarkshire Derby against Hamilton. Andrew Paterson joins Sparra, Busta and Jay to look back on the 4-0 win over Morton in the Betfred League Cup, preview fixtures against Edinburgh City and Berwick Rangers, look ahead to the return of the Fir Park Open Day, discuss the Well Society organising a free trip to Fir Park for Syrian refugee’s on Saturday, Craig Clay’s move to Leyton Orient and much more. 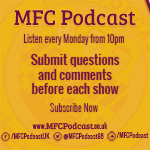 Sparra, Busta and Jay are joined by Andrew Paterson to look back on the 2-0 Scottish Premiership defeat to Rangers, preview the midweek meeting with Ross County, discuss latest transfer dealings at Fir Park, Mark McGhee’s future at the club and much more. Andrew Paterson joins Sparra, Busta & Jay to look back on the 0-0 draw with Kilmarnock, preview the upcoming matches at Pittodrie and McDiarmid Park, consider the future of Dom Thomas at Fir Park, and reflect on Saturday’s successful Christmas Toy Drive. There was plenty to talk about when Andrew Paterson joined Busta, Jay and Sparra for the latest MFC Podcast. 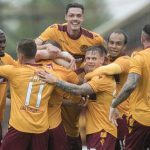 The draw with Dundee, a late loss to Thistle, the transfer window, issues for ‘Well fans at Firhill and our Scottish Cup tie with Inverness are all discussed as well as this week’s ‘Remember Well’ question.